This course trains and certifies golf club managers by offering instructional videos on every aspect of golf club management which were created by golf club managers who specialize in all subjects. This common sense approach to learning is popular because so many of our participants already have a wealth of knowledge from other areas of life and business. These individuals do not require lengthy college courses or apprenticeship programs that generally last for years. Golf Management can prove to be a very rewarding career. In the United States alone there are 17,000 golf courses and with golf becoming more of a global game, many certified golf club managers are finding employment outside of the United States as well. Additionally, current golf club managers are purchasing our material to refresh their knowledge on all of these various subjects. The USGTF has taken advantage of the incredible talent within our organization and in doing so, we provide education through online video lessons from currently employed specialists in golf club management. Our colleagues are open and thoughtful people who share their personal knowledge and years of experience in golf management. Golf management is a huge industry. There are over 35 thousand golf courses worldwide that all require competent, service oriented individuals to manage facilities. Furthermore, golf management is not restricted to golf courses alone. Popular national and international golf resorts require well trained individuals who understand the importance of profit and loss. 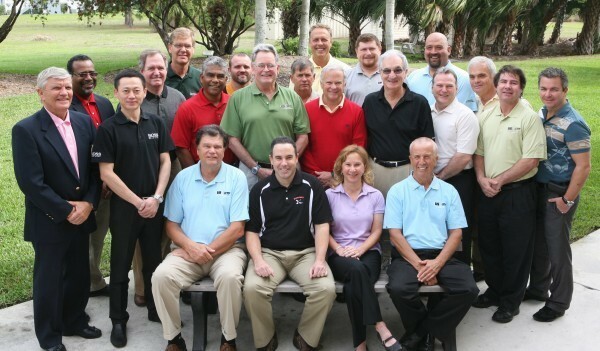 Just as important in their own right are golf teaching professionals. These people are the true ambassadors of the game, and their skills are essential to the growth of golf. They have the unique opportunity to mend a fragile ego, or enhance a family vacation. In fact, many golf teaching professionals eventually enter into the field of golf management as a natural evolution through their performance, effort and maturity. Professional golf management is also the key to the thousands of golf retail stores throughout the world. Marketing skills, knowledge of product and display techniques, properly discounting and timely sales, certain computer skills as well as the age old art of selling are required. Further included in the industry are golf driving ranges, golf manufacturers and their representatives, the many golf trade shows, and the very lucrative golf travel industry. With regard to all of these segments of the 65 billion dollar golf industry, employers are more inclined to hire personable individuals with a professional golf management certification. Certified Golf Club Manager® is a service mark of the United States Golf Teachers Federation and is our unique brand that represents the very best in golf club management. All those who become certified through our online program are permitted to use this service mark in promoting their golf careers. Insights to the Industry – A collection of real-life stories and anecdotes from the service industry to provoke thought and action. This is the perfect book for golf club managers. This book is available for $19.95 by contacting our national office at 1-772-595-6490. This new book, “100 Tips for Golf Club Managers”, is designed to motivate and educate golf club managers with common sense ideas and insights into the profession. This book is available for $19.95 by contacting our national office at 1-772-595-6490.